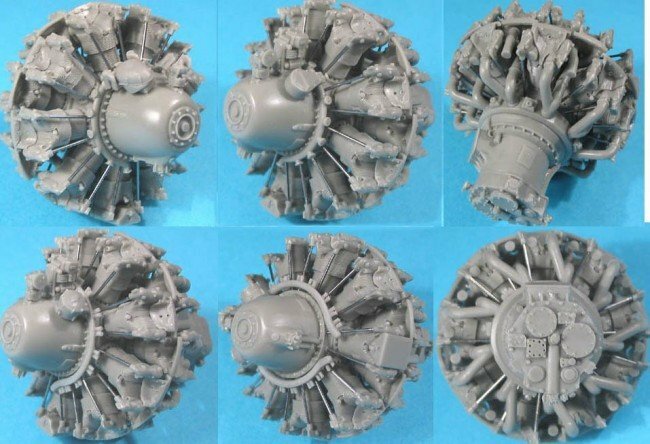 1/32 Pratt & Whitney R-2800 A/B (early) Engine - resin kit. It's not assembled and not painted - assembled engine shows only as reference of possible result. Vector Resin kits are made in Moscow from modern casting resins and are arguably some of the best scale model engines and resin detail available in the world today in both accuracy and manufacturing quality.